Evan Reichenberg, 10, poses for a photo with the piano he practices on almost every day at home. Evan Reichenberg, 10, enjoys classical music, but in the morning while eating breakfast, he prefers rock and roll. When Evan turned 1, his parents Steve and Hae Youn Reichenberg purchased a piano. Nine years later, the E.T. Hamilton School student recently earned gold at the international Golden Key Piano Composition Competition, an achievement awarded with the opportunity to perform at Carnegie Hall in New York City among other winners from around the world. Hae Youn said growing up in Korea, many of her friends were taking piano lessons, but she never had the chance. With a love for classical music and a dream of playing the piano, Hae Youn said she wanted share the appreciation with her children. 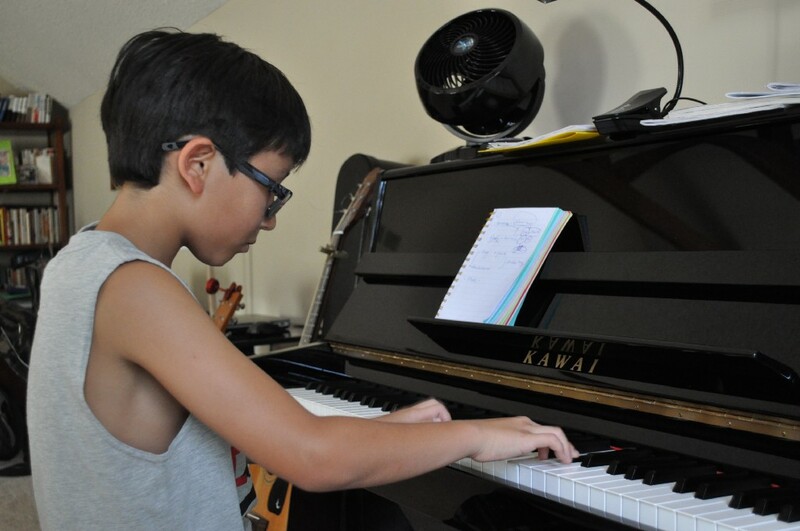 Evan began taking piano lessons when he was 5, while his brother Aaron, 8, began when he was 3. In more recent years, Evan has won gold for two regional technique competitions, received honors and high honors at state competitions alongside Aaron, performed at Rowan University fall festivals and has collected numerous certificates and medals for his musical talent. 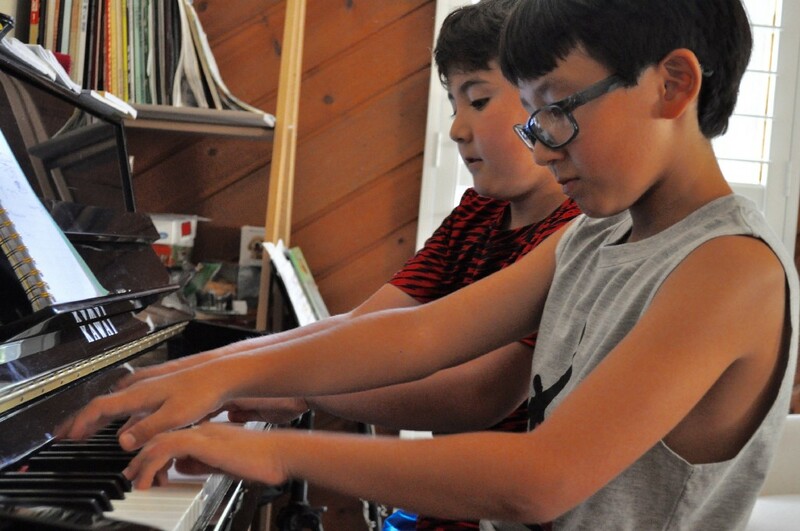 Evan Reichenberg, 10, and his brother Aaron, 8, are pictured playing a song they wrote together on the piano at their home. Evan performed “March” by Sergei Prokofiev at the Golden Key Music Festival, a song he chose out of a number of options given by his teacher, which he practiced months before. According to Steve, the competition, held in Princeton, hosted close to 1,000 performers, broken into age groups from 5 years old to 19 and older. Evan competed against approximately 120 kids in his age bracket of 10 and 11 year olds. Based on the artists’ auditions, those awarded gold and silver had the opportunity to perform at Carnegie Hall throughout May and June, while super bronze winners were able to showcase their talent at the Baruch Performing Arts Center, and bronze achievement winners performed at the Marjorie S. Deane Little Theater in New York City. 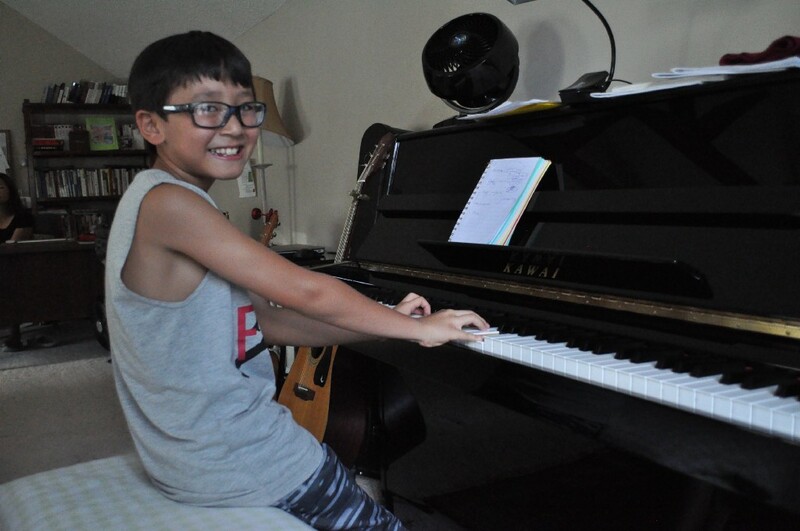 Evan Reichenberg, 10, began playing piano when he was one year old. Reichenberg recently placed gold at an international competition, earning a chance to perform at Carnegie Hall. Evan said he was one of 39 performers to take the Carnegie Hall stage, an honor he was proud to have due to the fame of the location. Hae Youn said with the growth of technology and electronic gadgets, she wanted to have her sons involved with music at an early age to provide a hobby, and possibly a passion, they could grow with.